Based on a review of the most recent research, the World Health Organization (WHO) today issued draft guidelines that add another voice to the debate about the health risks of saturated fats. These types of fat—found in beef, butter, cheese, chocolate, coconut oil, palm oil, and whole milk—should make up less than 10 percent of an adult or child’s total daily calories, the agency says. In addition, everyone should keep their intake of trans fats under 1 percent of their calories, the agency says. Some trans fats are found naturally in foods, but the majority of the trans fats people eat comes from partially hydrogenated vegetable oils, which may be found in processed foods, such as baked goods, crackers, fried foods, pizza, and stick margarines. If this advice sounds familiar, that’s because it is very similar to what’s recommended by several health organizations, including the current Dietary Guidelines for Americans. 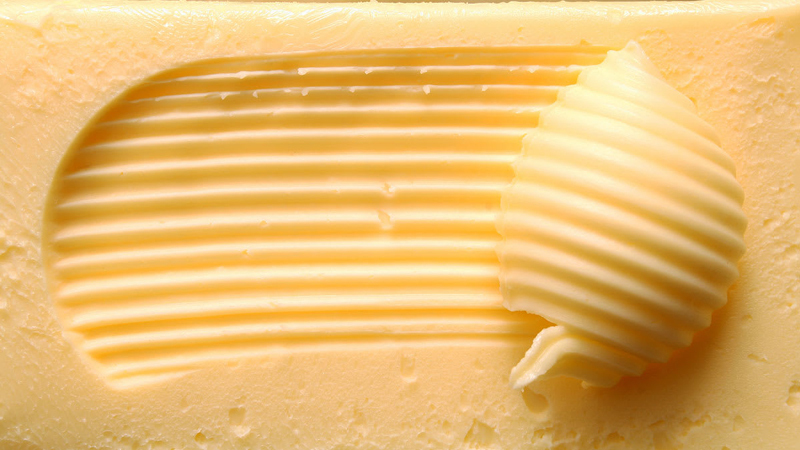 “What the new WHO guidelines do is add strength to the idea that having too much saturated fat in your diet can raise the risk of heart disease, and dampen the ‘butter is back’ argument,” says David Seres, M.D., associate professor of medicine at the Institute of Human Nutrition at Columbia University Medical Center. In recent years, the necessity of limiting saturated fat has been called into question because some studies did not find a link between cutting saturated fat and protection against heart disease. Studies have shown that saturated and trans fats increase the risk of heart attack and stroke mostly by raising levels of LDL cholesterol, which can clog arteries, and that cutting back can lower those levels. Other studies, however, concluded that there wasn't enough evidence to link saturated fat to heart disease. The discrepancy may lie in what people ate in place of saturated fats. Replacing saturated fat calories with those from refined carbohydrates (white flour and sugar) does not seem to reduce heart disease risk, and may even raise it. But if you swap in healthy fats, it does help your heart. “There are many limitations to diet studies. They are very complex to perform, and require thousands of participants who can actually achieve the dietary goals and maintain them, sometimes over decades," Seres says. "However, the preponderance of research shows that saturated fats and trans fats are linked to heart disease." The WHO’s draft guidelines say that saturated fats should be replaced with healthy fats, specifically polyunsaturated fats, found in foods such as fish, vegetable oils, and walnuts. What about avocados, olive oil, and other nuts? Those foods are higher in monounsaturated fats. “We are highlighting the PUFAs [polyunsaturated fats] because they have a stronger effect on LDL cholesterol, but that doesn’t preclude using monounsaturated fatty acids either,” says Chizuru Nishida, M.D., Ph.D., coordinator of the Nutrition Policy and Scientific Advice Unit, WHO Department of Nutrition for Health and Development. One problem with dietary guidelines that focus on specific nutrients, Seres says, is how to actually help people translate that to food. To that end, Seres recommends that you lean toward a whole foods diet, rather than one that is mostly made up of packaged and processed foods. Much of that should be plant foods, such as fruits, vegetables, whole grains, nuts, and beans, with less meat and whole milk dairy. “I want to stress that it’s ‘limit not eliminate’ these foods,” he says. “If meat and dairy are a big part of your diet and I tell you to cut them out, you may be able to do so for about a week,” he says. One approach is to choose lower-fat versions of foods like dairy and meats, such as swapping low- or nonfat milk for whole milk or serving lean cuts of beef, such as sirloin instead rib eye, says Amy Keating, R.D., a Consumer Reports dietitian.